Murloc Tidehunter is a 2 Mana Cost Free Neutral Minion Murloc card from the Basic set! 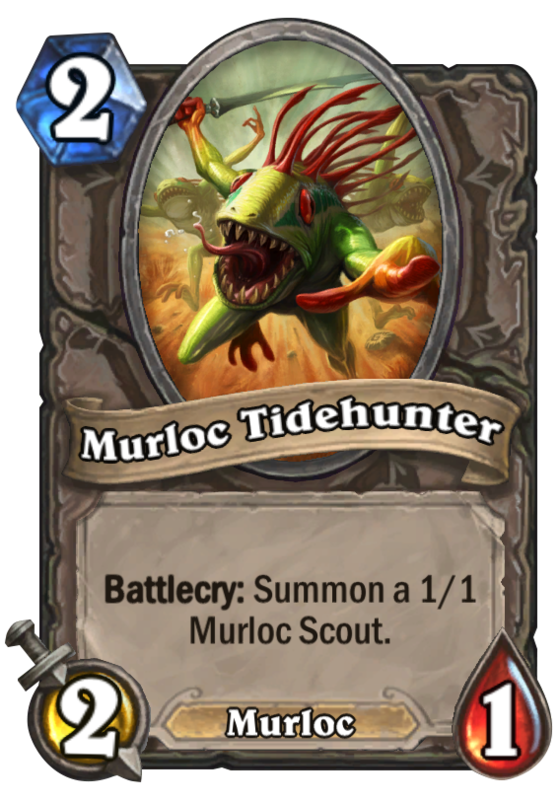 Battlecry: Summon a 1/1 Murloc Scout. "Death will rise, from the tides!" Rating: 2.9/5. From 83 votes.